This 2012 BMW X3 35iBMW X3, Stock number EE205A features a stunning Carbon Black Metallic exterior complimented by a desirable Black W/nevada Leather Upholst Synthetic Leather interior and has 99,707 miles. Factory equipped with an impressive 3.0l 6 cyls engine, automatic 8-speed transmission and all wheel drive, this BMW X3 is ready to conquer the roads! A few of this X3's key features include: a Turbocharged Engine, Aluminum Wheels, Electronic Stability Control, a Rain Sensing Windshield Wipers, All Wheel Drive, a Panoramic Moon Roof, Synthetic Leather, HID Headlamps, Automatic Climate Control, a Premium Sound System, Fog Lights, Power Windows, a Dual Moonroof, Power Locks, a Electronic Messaging Assistance, Brake Assist, a Power Drivers Seat, an Auxiliary Audio Input, a Leather Wrapped Steering Wheel, Traction Control, Daytime Running Lights, an Anti Theft System, Wood Trim, an Adjustable Steering Wheel, an Auto Transmission with Manual Mode, a Gasoline Engine, a Driver Illuminated Vanity Mirror, a Rear Head Air Bag, Privacy Glass, Memory Mirrors, Tinted Glass, Auto Leveling Headlights, an AM/FM Stereo, an MP3 Compatible Radio, a Tire Pressure Monitoring System, Air Conditioning, a Power Passenger Seat, Rear Reading Lamps, Cruise Control, Bluetooth Connection, Disc Brakes, a Drivers Air Bag, a HD Radio, Anti-Lock Brakes, a Pass-Through Rear Seat, a Front Side Air Bags, a Passenger Air Bag Sensor, a Single-Disc CD Player, an Auto Headlamp, a Passenger Illuminated Visor Mirror, a Front Head Air Bag, Intermittent Wipers, a Tilt Steering Wheel, a Rear Window Defroster, Power Steering, Variable Speed Intermittent Wipers, a Bench Seat, Vanity Mirrors, a Reading Light(s), and a Passenger Air Bag. 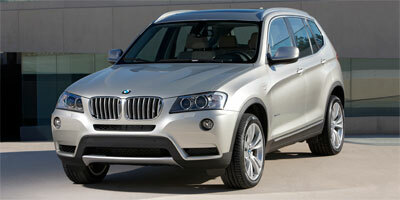 Contact us today to schedule a test drive of this 2012 BMW X3 35i! Or stop in at 3200 North Calumet Ave Valparaiso, IN to check it out in person!